Some years ago, Michelle Nordtorp-Madson, then Chief Curator and Clinical Faculty member at the University of St. Thomas in St. Paul, MN, designed an exhibition featuring work created by Bernice Ficek-Swenson, Linda Gammell, Holly Newton Swift and me. Specifically, she sought artists who were inspired by the elements of Earth, Air, Water, and Fire. Then there was a second exhibition at St. Thomas, after which we four artists decided that it would be great to continue our alliance and expand our work accordingly. We had another show this past spring at the Minnetonka Center for the Arts in Wayzata, Minnesota, and now we are exhibiting this work and much more at the Evanston Art Center in Evanston, IL. 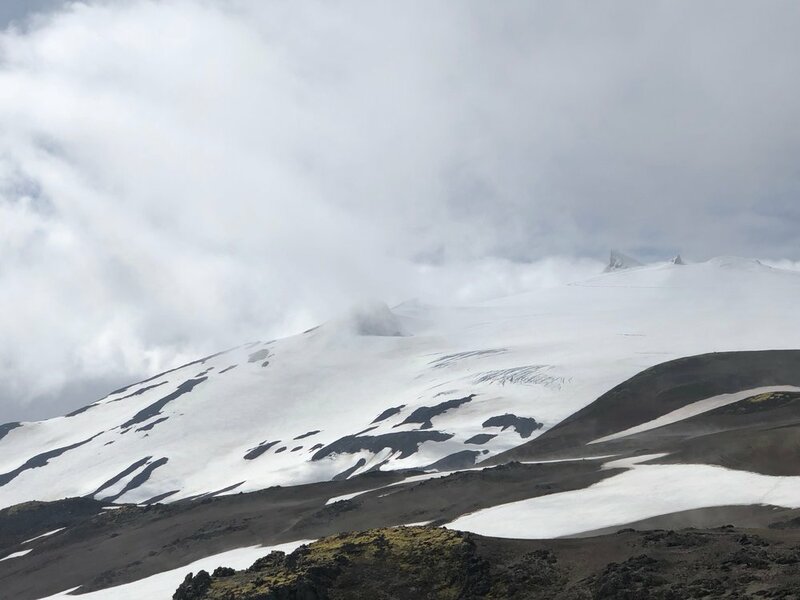 This past summer, together with artists from various places around the world, I was a participant in the NES Artist Residency Program in Skagastrond, Iceland. Being in this small village, with its deep-sea fishing boats and industry, rather small population, and some dependence upon the constant influx of visiting artists, I relished the change of pace and the luxury of time that allowed a sense of awe to permeate my life every day that I spent there. The entire experience was nothing short of magical for me in that it produced new roots and a sense of being (in a new) home. Skagastrond itself is a mixture of a peaceful and yet pleasantly lively community. The small mountain that sits next to the town looks/reigns over everything and is both mysterious and calming. The magical seacoast brings with it a variety of ever-changing surf conditions. Views of grazing sheep, cows, and Icelandic horses are punctuated by the birds who often oversee and rule the territory – especially gulls, arctic terns, and plovers. And the special effects of being immersed in an environment whose energy source is geo-thermal did not escape me. Being part of the artist community at NES was a gift whose tremendous impact on me has yet to be fully measured. Everything was new to me – and yet, I felt so much “at home.” A good amount of credit for this very positive experience derives from the place where I actually resided (Salthus Guesthouse) and the wonderful hospitality of its proprietor, Hrafnhildur Sigurðardóttir. She welcomed her guests with the most thorough and considerate forms of accommodation. The Guesthouse was conceived by her (and according to the NES artist website, “In 2008, NES was established and opened by the local townspeople of Skagaströnd with Reykjavik artist Hrafnhildur Sigurðardóttir.”). "Crossing The Treshold" Gallery Opening.. The Jewish Artists’ Laboratory, now in its sixth year, explores specific themes through study and art making, bringing together a diverse group of artists who have an interest in the relationship between Jewish thought and creativity. This year, nearly 35 artists spent eight months studying and exploring the theme of Crossing the Threshold. This topic presented a multitude of opportunities to explore how thresholds are reflected in Jewish rituals and holidays, and the significance of Jewish rituals and holidays, and the significance of thresholds in its many forms. This exhibit showcases a large array of media and subject matter around this expansive theme. 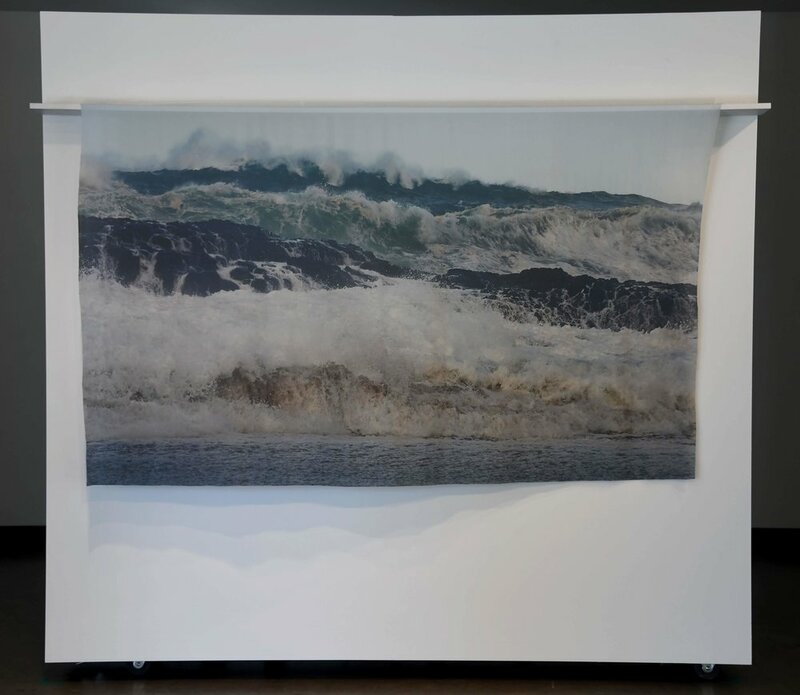 One of the artists featured is Ann Ginsburgh Hofkin. The Gallery opening was on June 21, 2018. Ann's artwork will be on display at Artistry from June 14th until August 5th 2018. 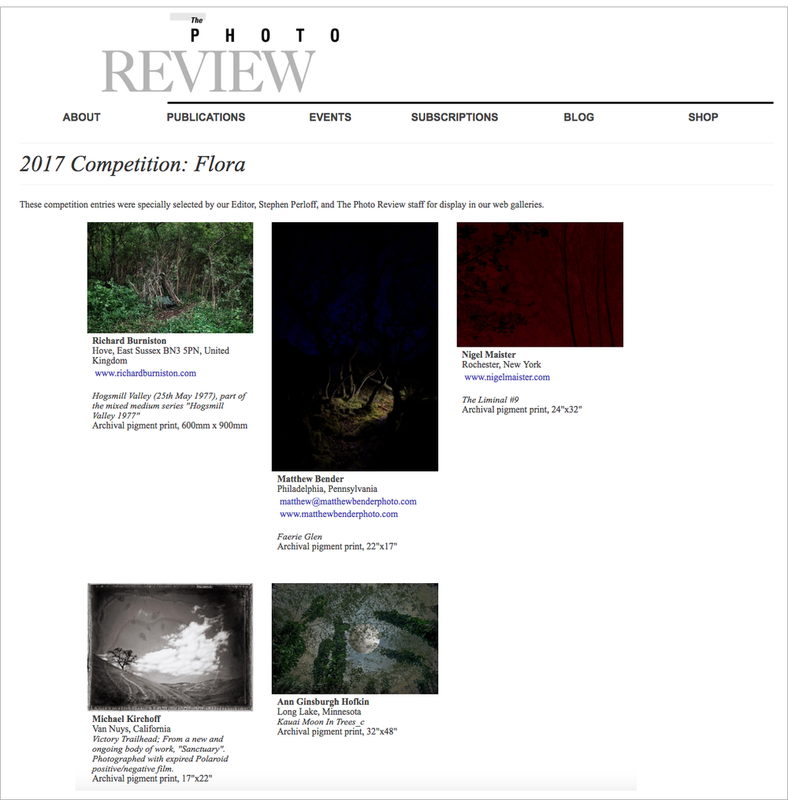 Ann Ginsburgh Hofkin's art featured in "The Photo Review"
Ann Ginsburgh Hofkin's art, titled "Kauaii_Moon_in_trees_c" was featured in "The Photo Review", in the competition called "2017 Competition: Flora". Ann Ginsburgh Hofkin's art selected for "The Color of Light"
Juror Arthur Meyerson has chosen 35 photographs for the gallery exhibition, and an additional 40 photographs for display in the Online Gallery on the PhotoPlace Gallery website. It’s a wonderful collection of work. Ann's piece called "Moon in Trees, Kauai" was selected for the gallery. It will be exhibited from March, 8th to April 8th, 2017 in Middlebury, VT.